Want to use your computer as a gaming PC? You could jump right into buying a gaming PC that we've already picked out for you, or you can consider whether or not it's practical to upgrade your own computer to support the games you want to play. The more you know about the inner workings of a computer, the easier it is to make informed decisions about what parts are worth upgrading. There might be just one or two pieces of hardware that could use a good upgrade before you start gaming, but you might find that you'd need to replace nearly everything (or nothing) before your PC is considered gaming-ready. This guide will explain what needs some extra attention when dealing with a gaming setup and how to learn what you already have in your computer so that you can avoid paying for an upgrade if you don't need to. Since a gaming computer is much more powerful than a regular PC, there's a much higher demand to keep the computer components cool, something that's extremely important if you want your hardware to last a long time. A CPU, or central processing unit, is what processes instructions from applications. It gathers information from a program and then decodes and executes the commands. It's important in general computing needs but is an especially critical component to consider when thinking about gaming. Processors can be built with varying numbers of cores, like dual-core (2), quad-core (4), hexa-core (6), octa-core (8), etc. If you're looking for a high performance system, a quad-core or hexa-core processor works well in multi-threaded applications. Speeds vary depending on model and voltage, but to avoid bottleneck, you typically want a processor running at a minimum 2.0 GHz, of course 3.0 GHz and 4.0 GHz are even better. Another important component when considering a gaming PC is the computer's motherboard. After all, the CPU, memory, and video card(s) all sit on and are directly attached to the motherboard. If you're building your own gaming PC, you'll want to look for a motherboard that has ample slots for the amount of memory you wish to use and the size of video card you'll install. Also, if you plan on installing two or more graphics cards, be sure your motherboard supports SLI or CrossFireX (NVIDIA and AMD terms for multi-graphics card configurations). This piece of hardware is often referred to as RAM. The memory in a computer provides a space for data to be accessed by the CPU. Basically, it lets your computer use data quickly, so the more RAM that's in the computer means that it will use a program or game that much faster. The amount of RAM you need differs drastically depending on what the computer is used for. A gaming PC needs more RAM than one that's used to simply browse the internet, but even within the gaming realm, each game has its own memory requirements. A normal computer that isn't used for gaming can probably get away with 4 GB of system memory, maybe even less. However, a gaming PC might require 8 GB of RAM or more. In fact, some motherboards can hold huge of amounts of memory, like 128 GB, so your options are nearly endless. As a general rule, you can assume that 12 GB of memory is enough to support most video games, but do not use that number as a reason to avoid reading the "system requirements" next to the games you download or purchase. If a video game says it needs 16 GB of RAM and you only have 8 GB, there's a really good chance that it simply will not run smoothly, or even at all, unless you upgrade to fill that 8 GB gap. Most PC games have a minimum and a recommended requirement, like 6 GB minimum and 8 GB recommended. Generally, these two figures are just a couple gigabytes apart. Do some research before you start buying to see where most of your favorite games fall when it comes to how much RAM they need, and use that as your guide for deciding how much memory your computers should have. Yet another vital component to a gaming PC is the graphics card. This is the meat and potatoes of the visual experience when you run games. 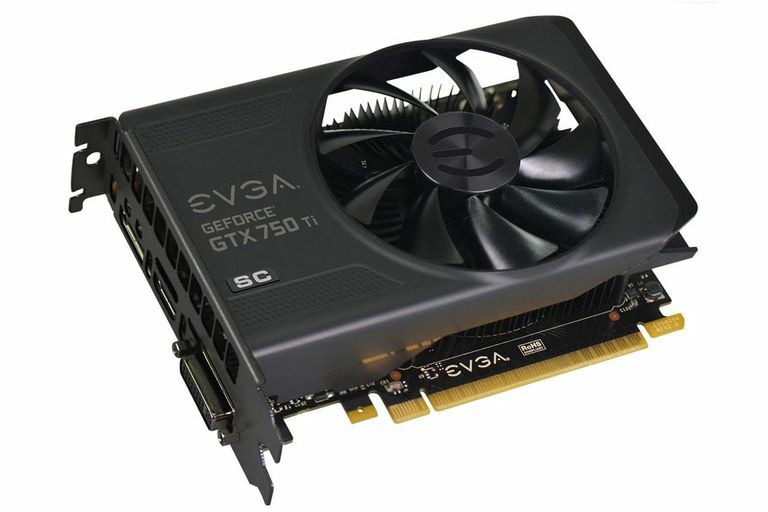 There's a massive selection of graphics cards on the market today from budget models that run around $50 all the way up to extreme multi-GPU solutions that can easily cost $600 or more. If you're just starting out playing games on your PC, look for a graphics card that has at least GDDR3 video RAM (GDDR5 or GDDR6 is, of course, even better) and supports DirectX 11. Most, if not all, video cards offer these features. The hard drive is where files are stored. So long as a video game is installed to your computer, it will be occupying hard drive storage. While your average computer user might be totally fine with, say, 250 GB of hard drive space, or even less, you should really think ahead when it comes to using that little of space for gaming. For example, you might find that the video game you want to download requires around 50 GB of hard drive space. Okay, so you install it and get going and then you download a few in-game upgrades and some patches later on, and now you're looking at 60 or 70 GB for just one game. If you want even just five video games stored on your computer, at that rate, you're looking at needing 350 GB for just a small handful of games. This is why it's important to have a huge hard drive for your gaming PC. Fortunately, most desktop computers can support two or even three hard drives, so you don't have to worry about trashing your current one and upgrading to a brand new, super-large hard drive - just add another in addition to your primary, existing drive. In addition to size, you should think about what type of hard drive you want. Solid state hard drives (SSDs) are much faster than traditional hard drives (ones that spin), but they're also more expensive per gigabyte. If you need to, however, you can get by with a regular hard drive. SSDs also work well in desktop computers because they offer faster boot times and greater file transfer speeds. RPM is another component of the HDD that you should look out for if you're buying a new hard drive. It stands for rotations per minute, and represents how many revolutions the platter can spin in 60 seconds. The faster the RPMs, the better (7200 RPM drives are common). On the other hand, SSD's (which have no moving parts) retrieve and present data even faster. While SSD's are still expensive, one of them could be a good investment.